Sometimes I hear couples talk to each other and I can just feel the love. Yet, sometimes I hear couples talk to each other and I want to cry. I want to cry because of the hurtful and belittling way they speak to the one whom they stood before God and witnesses and promised to love forever. Once the "honeymoon" phase was over, my husband and I went through a period where we spoke harshly to each other. We said belittling things, just to hurt the other one. We spoke down to each other, simply out of disrespect. We went through several years where our words were harsh. No, not all of the time, but many days we had hurtful words for one another. Some times the actual words were not downgrading, but the way we spoke to each other was condescending. And just to be clear, condescending equals disrespect. When you speak to your husband, or he to you, can others hear the love? Are the words, and tone of voice, sweet to the soul and healing to the bones? Does your husband feel the love when you speak to him? Do your words heal him? Or do your words leave him feeling angry, hurt or disrespected? If your spouse speaks down to you or speaks disrespectfully to you, answer in a gentle way. Remember, you cannot control what he says or how he acts. But you can control your response. If you continually speak in a gentle, respectful manner, the Bible gives us the promise that the gentleness will turn away wrath. This week I want to challenge you to speak respectfully and gently to your husband. Before you speak, stop and think, "Are my words respectful? Are they gentle? Will they be sweet to his soul?" If the answer is no, don't speak! 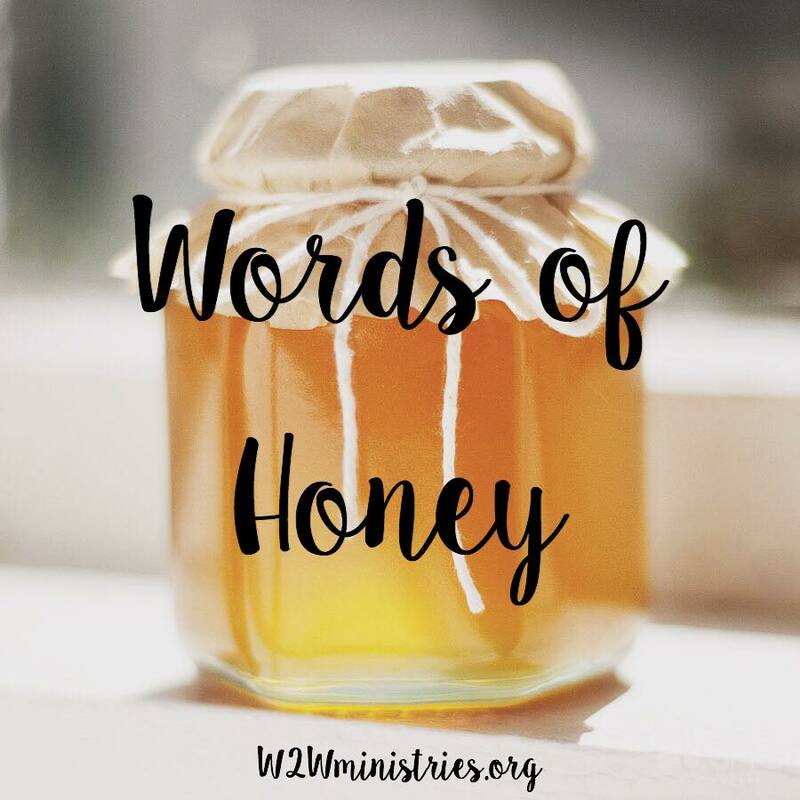 Strive to make your words sweet as honey.